Using the theme of your choice you can make a cute felt pennant for your child's room. 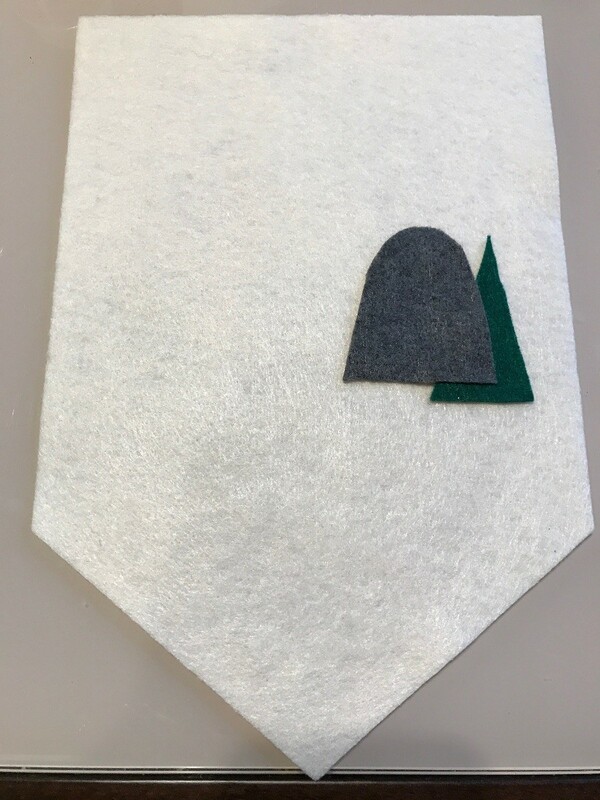 This is a guide about how to make a pennant flag for a kid's room. 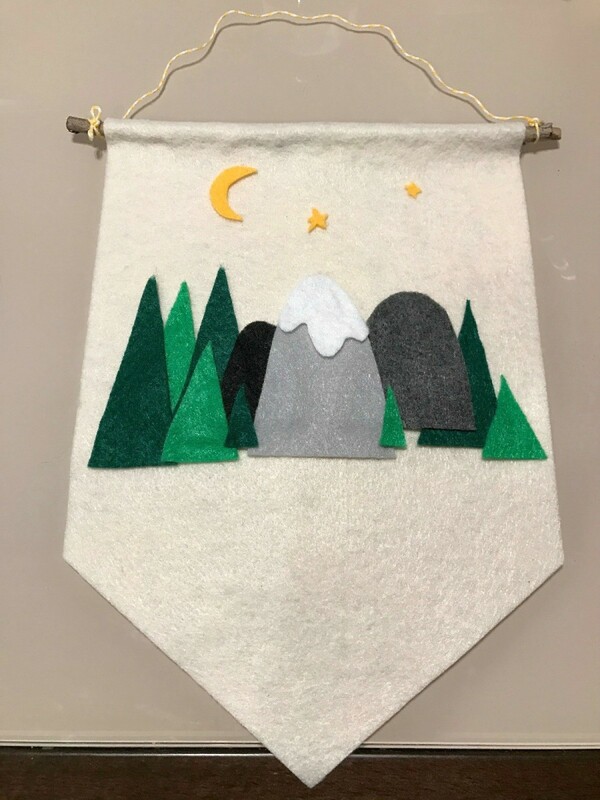 Pennant flag decor for a baby/kid's room is very popular and trendy right now. On handcrafted websites these flags range in price anywhere from $20+ and up. Why buy them when you can make your own less expensively. 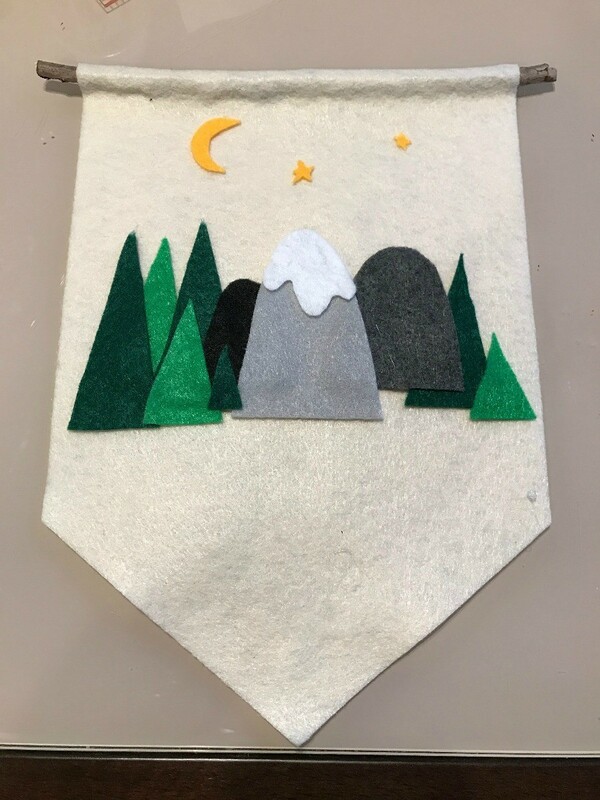 All you need are different pieces of felt (depending on what you want on your flag) and glue that adheres well on felt. You will need assorted felt sheets. The colors vary on the theme you would like to do. 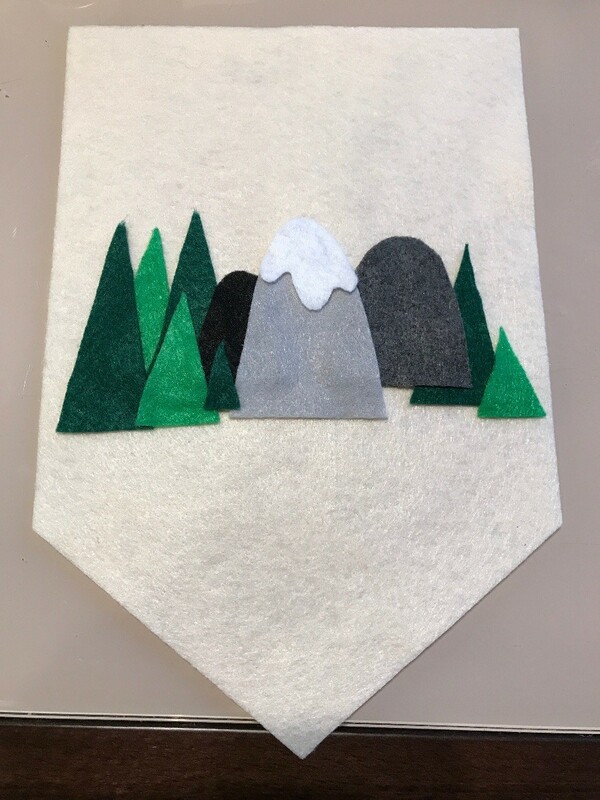 It is easier if you have a photo as inspiration, I am going with a adventure/camp/mountain theme so the colors I used were: cream, greens, black, gray, white, and yellow gold. 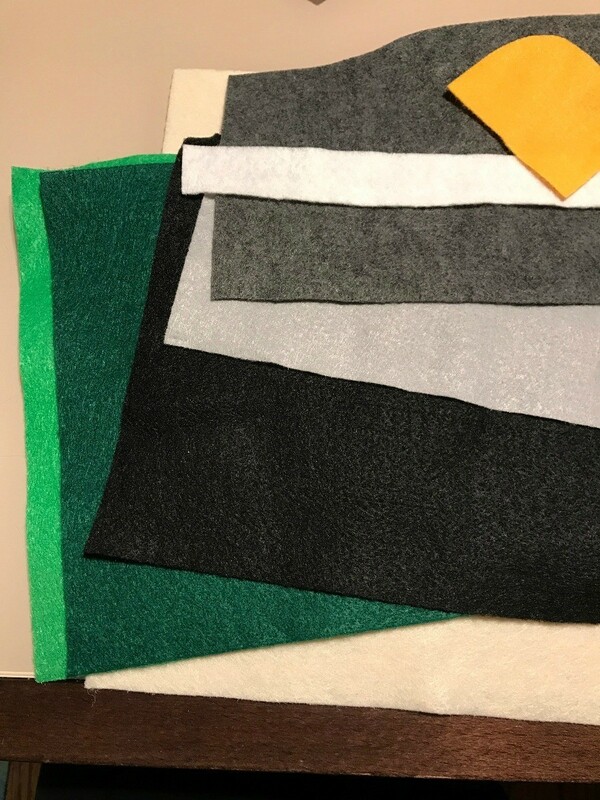 Pick a color felt you want your pennant flag base to be. 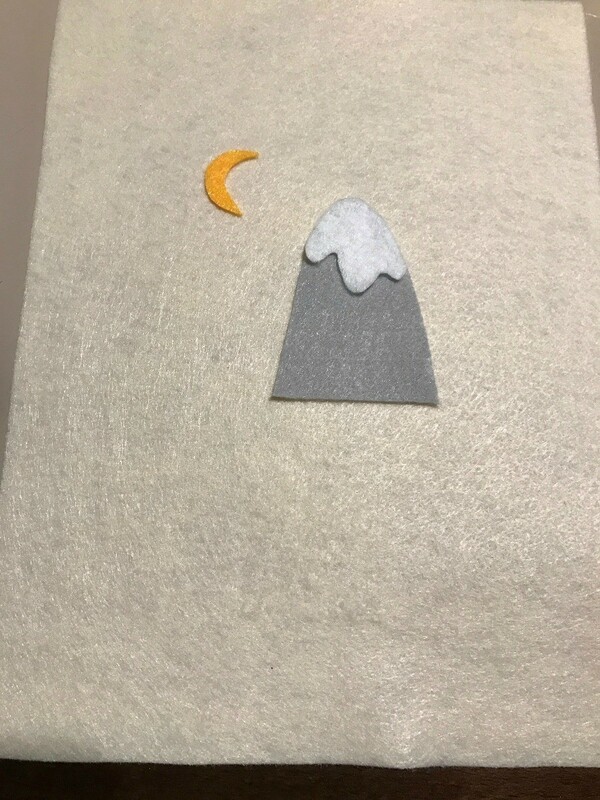 I used a cream felt as my base. Start cutting out the shapes you want on your flag. 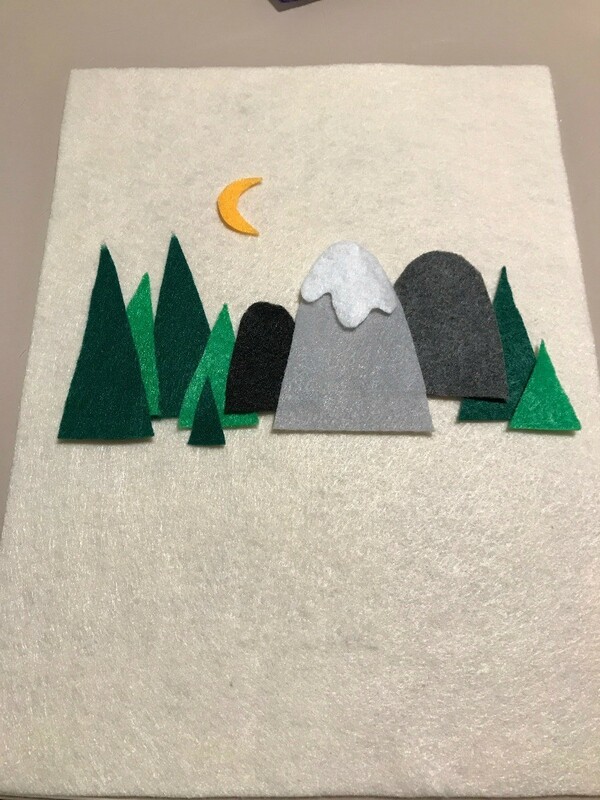 I cut out simple triangles for the trees, half ovals for the mountains, and some snow for the mountain. 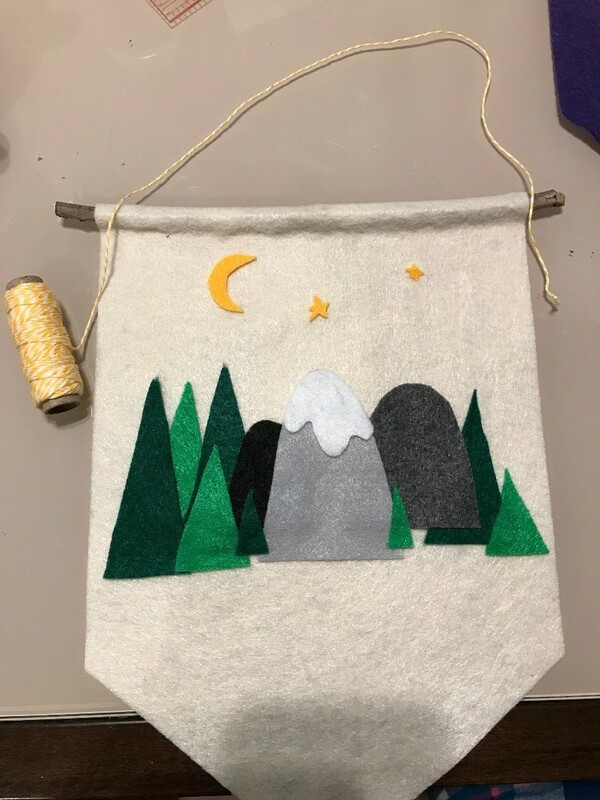 I also added the moon and stars. Once you have enough of the shapes you want, lay them out to see how it will fit. 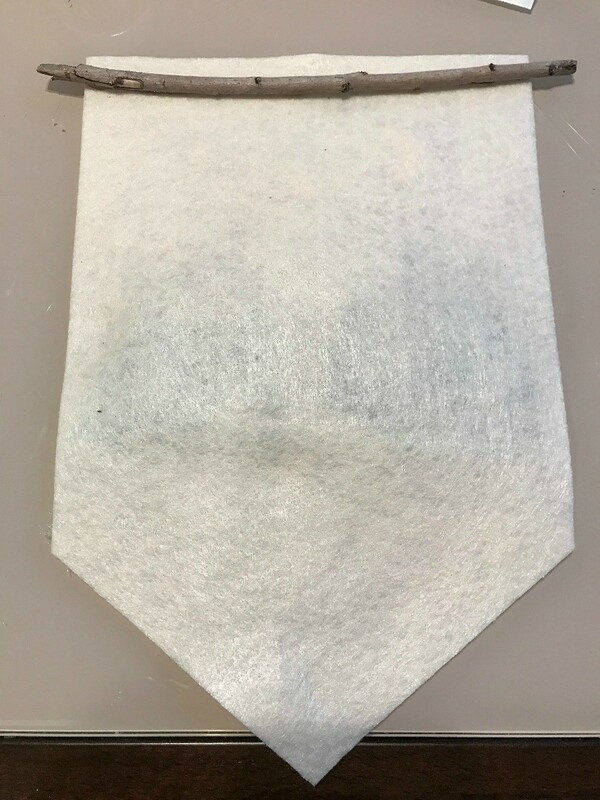 Time to trim the cream felt to look like a pennant flag. You just need to cut it diagonally, tapered into triangle shape. 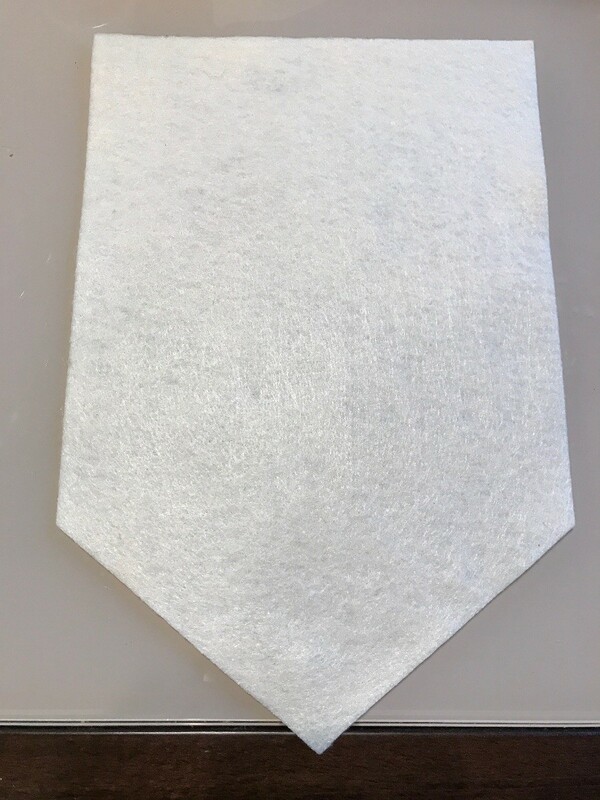 Now lay out the felt to see how you want it to be glued down. Once you determine the layout, you can glue each piece down with felt glue. Flip your flag over and at the top, I used a stick I found in my yard. Wrap a little felt around the stick and glue down. To be able to hang this pennant flag room decor piece, use string of your choice and wrap around the sides of the stick and tie a knot. It is ready to hang in your childrens' room, or can be a nice present too! Super cute! I want to make one for my nephew!